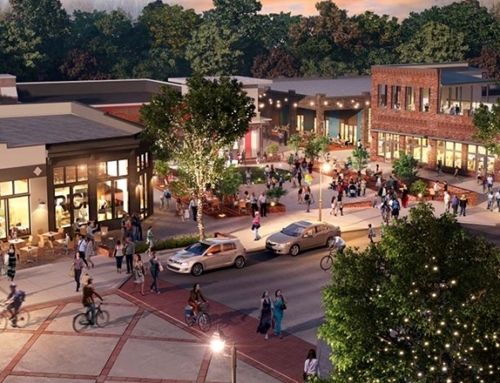 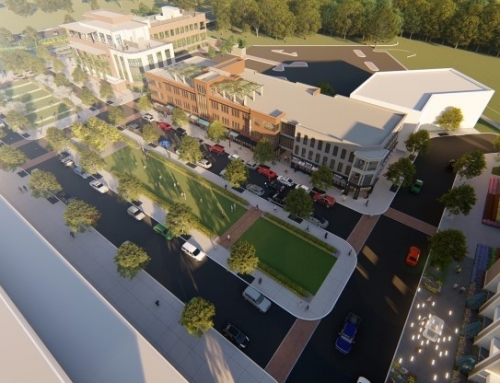 TSW was first retained by the City of Woodstock and the Downtown Development Authority to develop a Downtown Master Plan and Zoning Code for the historic downtown area. 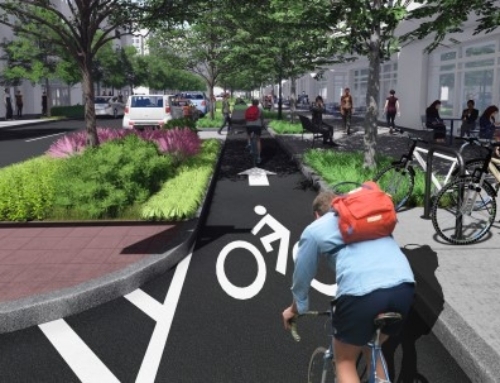 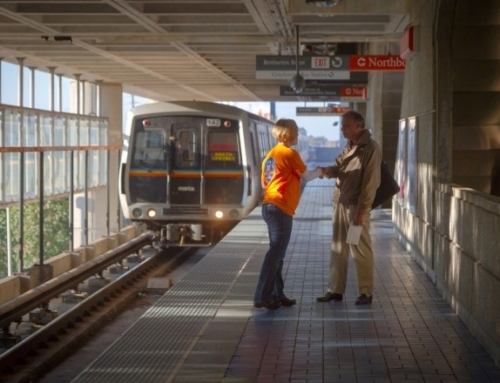 As part of the master planning process, recommendations were developed to enhance and connect the existing street network, including reconfiguring streets to allow more parking for commercial uses, introduce turn lanes to decrease congestion, and provide streetscapes that are more pedestrian-friendly. 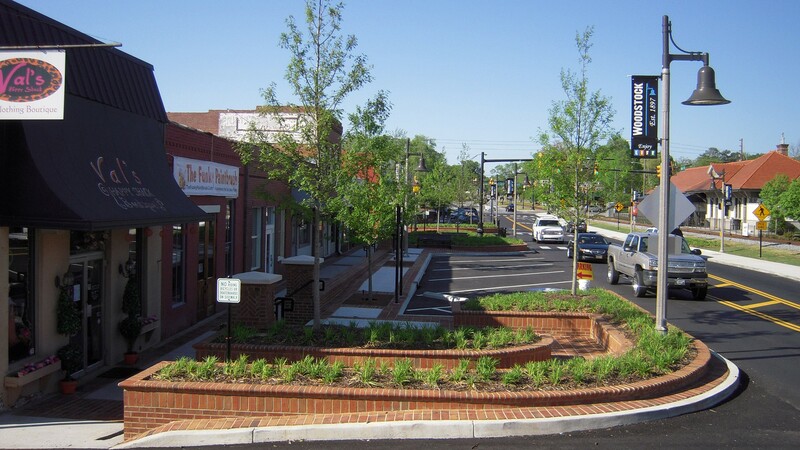 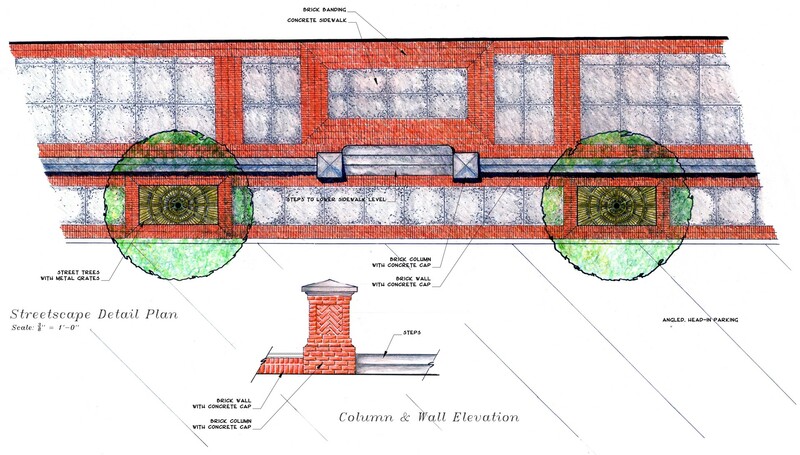 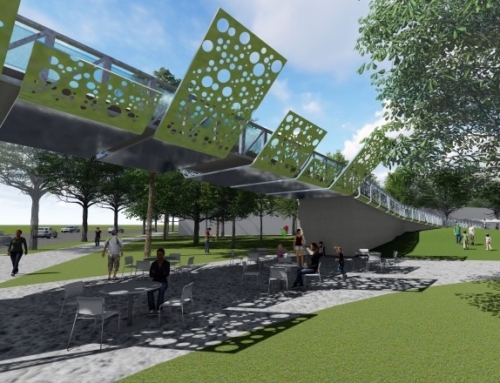 After completion of the Downtown Master Plan, the City of Woodstock retained TSW’s Landscape Architecture Studio to provide schematic design and construction documents following GDOT guidelines and standards for several blocks along Main Street. 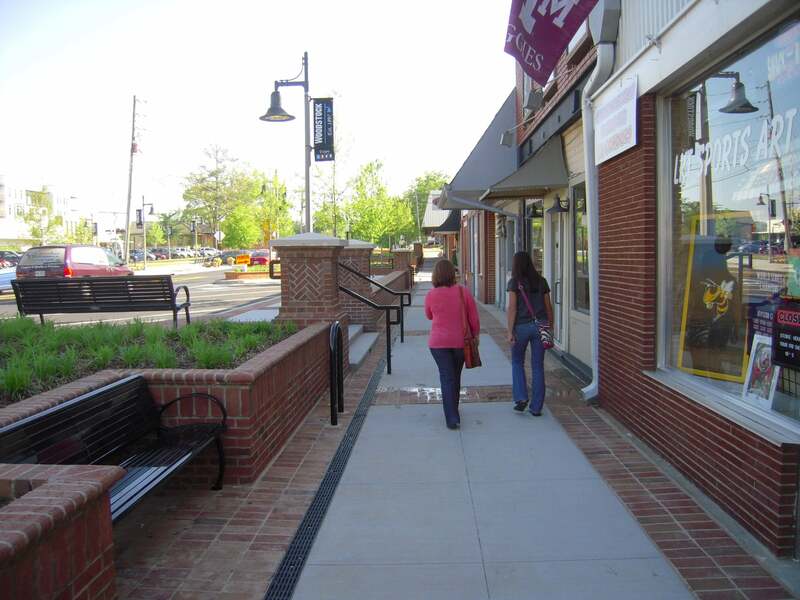 The main challenge of designing the streetscape was the significant grade changes between the road and storefronts from years of paving. 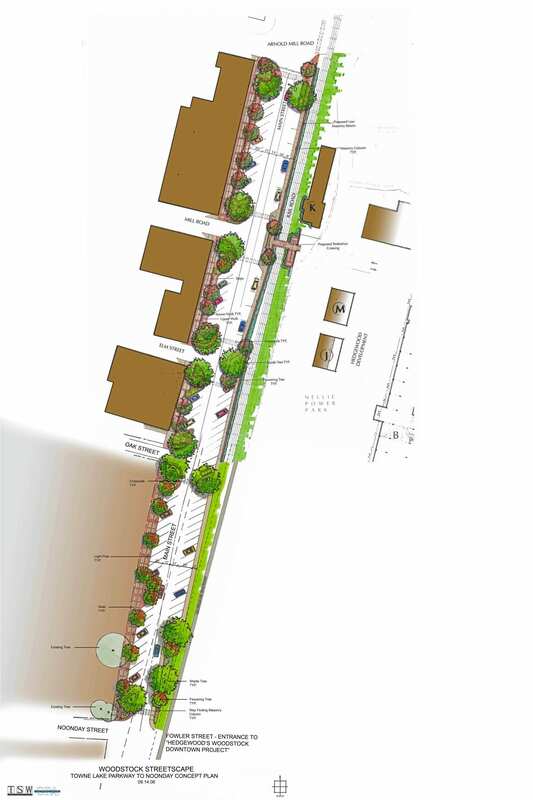 Based on recommendations from the Master Plan, TSW designed the streetscape to include two travel lanes with turn lanes at needed intersections, a combination of parallel and angled parking, visible crosswalks, street trees and lighting, and steps down to the storefronts at key locations.